One dark tale from Mr. Zawahri’s past is recounted in “Growing Up Bin Laden,” a 2008 memoir by Bin Laden’s son Omar bin laden. He describes an episode in Afghanistan in the 1990’s when a friend — a teenage boy — was raped by several men in a camp where they lived. The men snapped photos of the abuse and circulated them as a joke. 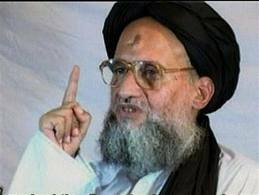 Mr. Zawahri was incensed by the photos, believing that the young man was guilty of homosexual activity, Omar bin Laden wrote. Mr. Zawahri had the teenager put on trial and condemned to death. “My friend was dragged into a room with Zawahri, who shot him in the head,” he wrote. The episode was a factor, he said, in his decision to break with his father and leave Afghanistan. Calling Navy Seals — please find and take care of Al Qaeda’s New leader!